It's a big responsibility to carry on the literary legacy of a beloved author. This fall, suspense writer Richard Preston is completing Michael Crichton's unfinished manuscript Micro. Crichton left behind notes, an outline and a partially finished novel when he passed away in 2008. Crichton's website describes Micro as: "A high concept thriller in the vein of Jurassic Park, MICRO is co-written by Richard Preston, and follows a group of graduate students who are lured to Hawaii to work for a mysterious biotech company specializing in micro-robotics. Conflict with the head of the company leaves the group fighting for their lives when they find themselves physically transformed and cast out into the rain forest, with only their scientific expertise and wits to protect them. Sophisticated entertainment that draws on cutting edge research, MICRO explores the outer edges of new science and technology in vintage Crichton fashion." Stieg Larsson's fans will have to wait, however. Larsson's partner and companion says he had a partially completed manuscript at the time of his death which she is able and willing to complete. Swedish laws places his literary estate in the hands of Larsson's family and the novel's completion is at an impasse at this point. David Foster Wallace died in 2008 at the tender age of 48 and is perhaps best known for his novel Infinite Jest. He left behind an unfinished manuscript The Pale King. In 2011 the work was completed by his friend and editor Michael Pietsch. The novel is described as "The agents at the IRS Regional Examination Center in Peoria, Illinois, appear ordinary enough to newly arrived trainee David Foster Wallace. But as he immerses himself in a routine so tedious and repetitive that new employees receive boredom-survival training, he learns of the extraordinary variety of personalities drawn to this strange calling. And he has arrived at a moment when forces within the IRS are plotting to eliminate even what little humanity and dignity the work still has." 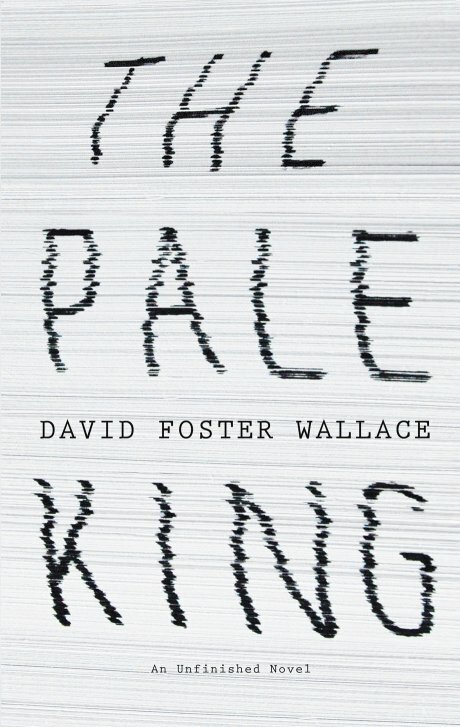 The general consensus seemed to be that The Pale King was a fitting tribute to Wallace's legacy. In a Publisher's Weekly review "Yet, even in its incomplete state-Michael Pietsch, who assembled this from the reams of material Wallace left behind, deserves a medal and a bottomless martini-the book is unmistakably a David Foster Wallace affair. You get the sense early on that he's trying to cram the whole world between two covers. As it turns out, that would actually be easier to do than what he was up to here, because then you could gloss over the flyover country that this novel fully inhabits, finding, among the wigglers, the essence of our fundamental human struggles." 30 years passed between Raymond Chandler's death in 1959 and Robert B. Parker's 1989 completion of Chandler's novel Poodle Springs. Chandler must be a touchstone and a hero for most mystery writers. Imagine how thrilling to be able to play a role in his literary heritage. Poodle Springs (a tongue in cheek Palm Springs) is a new home for Philip Marlowe and his socialite wife. Not wishing to be known as his rich wife's poodle, Marlowe sets up shop and is involved in a case that strangely mirrors his own life. Overall, critics were pleased with Parker's contribution. In The Atlantic "Parker's view of his hero is riskier: not risky enough for dangerous ambivalence, for greatness, but enough to make this book more than just a classy imitation of a master. Poodle Springs is a novel in its own right--Chandler's vision carried further than he carried it, and not betrayed but realized."